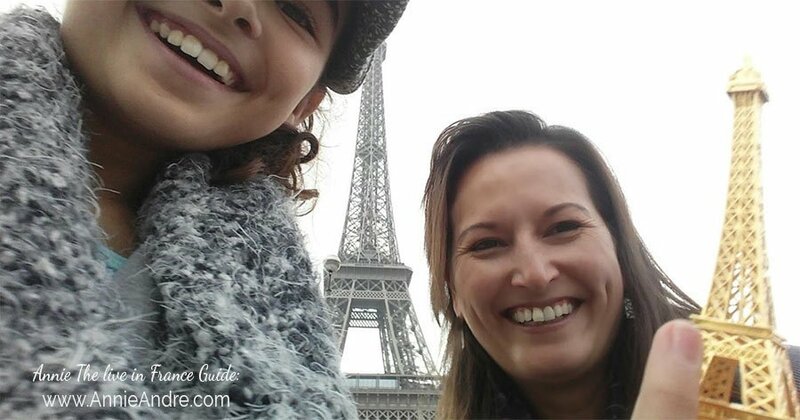 Here’s an honest look at what it’s been like living in France: long after the honeymoon stage and the culture shock, when you’ve settled into life abroad, mastered the language and made friends. I was both shocked and embarrassed by my knee jerk reaction when my husband suggested we stay in France yet another year. Especially since it was my idea to move to France in the first place. 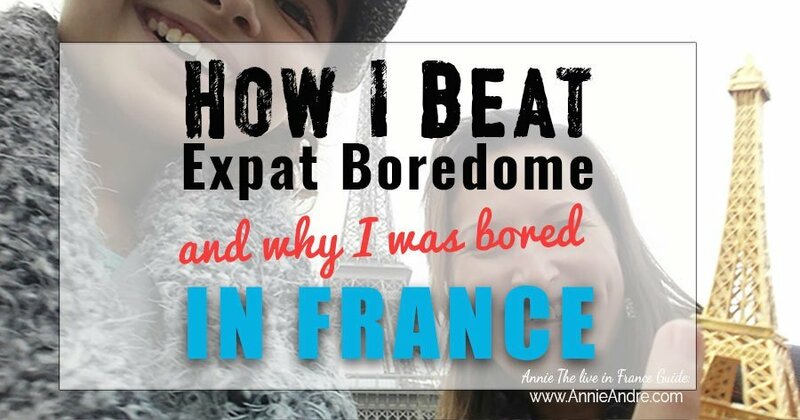 How Do You Get Bored Of Living France? I know it probably sounds silly to you, especially if you’ve been dying to live in France but it’s true- you can get bored of your life in France. It kind of gradually happened just like it does no matter where you live I suppose. In retrospect it makes sense. I was so excited about moving to France. I set my expectations so high and imagined all the wonderful things that I would do and feel. I never prepared for the reality of life in France-after the honeymoon stage. My first year in France was a busy but magical experience. Everything was new, fresh and interesting. Even boring day to day stuff seemed interesting. Going to the store, seeing all the different foods. Learning how to set up utilities, discovering new surrounding cities. My second year in France was more about settling into life. We had friends and some of the boring routines that once seemed interesting and fun were becoming a busy annoyance. Life began to take on more of a routine. In many ways, our life looked a lot like it used to look when we lived in California with a lot of routines only with a French twist. Wake Up -Get kids ready for school -Get baguettes -Go to the outdoor market -Do a little work on our computers -Pick up youngest child from school -cook diner etc etc. Sound familiar? At first I thought I must be going through some kind of culture shock but ruled that out almost immediately because I was pretty well adjusted. Life was good. I had no language issues, nothing phased me anymore about the French cultural differences, not even dog poop. I did miss some things about North American culture which is completely normal. Don’t let anyone tell you otherwise. It took me a while to figure out, but I was in a rut. I guess you could say I was bored with the routine of my life in France. The emotional and behavioural roller-coaster someone experiences when Living and or working in another culture. According to Paul Allen in his book titled The Truth about Moving Abroad and Whether It’s Right for You: Should I Stay or Should I Go? , nearly 10 million Americans and 50% of Brits dream of living abroad. Ironically 25% of those Brits who actually take the plunge end up returning home, presumably because the reality of living abroad (culture shock) wasn’t what they expected. I needed to do something about it. I needed to rediscover the adventure we first felt when we came to France rather than wallow or complain about being bored. So I did do something about it. A few things actually. Here are a few of the things I (we) did to break out of the expat rut. Depending on your situation and interests, these may or may not work for you but I hope in the least it shows you that you can get unstuck with a little effort. You know how you look forward to that annual vacation from your life and work? Well It happens even when you live in France. Taking a trip or getting away can give you that distance you need. It’s often not until we are away from the routine of our daily life and see it from the other side that we begin to appreciate it. I took a trip back to Montreal to see my extended family and that was the best thing I could have done because when I returned to France, It was like the fog was lifted. I could see more clearly and appreciate my life in France. You could say it recharged my batteries. I make sure to plan a trip to see my family (every year if I can). For you it may be to take a cruise, or do more road trips or.. The point is to just get away from your routine. Our second year in France, we lived in a small town just a few minutes outside of Toulon where we could walk to the market, our children’s schools, the grocery store, the cinema, the library and almost everywhere else crucial for daily life. So we resisted buying a car. The problem was, not having a car limited us. Sure we lived in a quaint medieval town where we could access most of what we needed by foot but we also lived in a town where everyone had a car and for good reason. We needed to buy a car if we wanted to do more than just walk to the local shops and markets. We wanted to go drive through the country side, go olive and wine tasting. be able to go anywhere on the spur of the moment. So at the beginning of our third year in France, we bought a used Renault scenic for 2,500 Euros (That’s about $3,400 ) and oh my what freedom. No more waiting in the rain or the blazing hot sun (it gets really hot in the South of France) to catch the bus to go to Carrefour. ( A big grocery store chain that has everything and more you could possibly need). No more panicking about how we were going to get our daughter to a friends birthday party at a place that has no bus access. No more borrowing friends cars or renting cars for road trips. No more asking friends to drive us home after a night out. **Train travel can be damn expensive for a family of five so having a car actually saved us money and opened up new possibilities in terms of places we could visit. We’ve driven to Spain, Germany, and visited dozens of small cities throughout France with our car. All for a fraction of what it would have cost us if we took the train. Plus we went to the beach quite often. When we arrived in France, I decided not to join a gym. I had to take 2 buses or walk 45 minutes partly on a road with no sidewalk to get there. Needless to say, I was not motivated to join. After we got our car everything changed. I could jump in the car and be at the gym in 10 minutes. Not only did going to the gym break up my days, it felt good to be fit again and I love the endorphine rush after a workout. (Bikini photos coming soon, Just kidding!). An unexpected bonus is I always meet new people at the gym and have made some good friends there. Some expats move to France because of a job where they can meet and interact with new people but Blake and I moved to France with no job. Volunteering fulfilled the gap or the need I had to connect with other people. Because we earned the bulk of our income from rental income and various freelance work which we could do via our laptops from home, we we made our own hours and tried to hit all the sights but but you can only do so much sight seeing and museum tours. What i missed was having daily adult interaction like I used to when I worked a job. Unfortunately we couldn’t actually get a job in France because our visas didn’t allow it. I decided to try to find some volunteer work and found a local association walking distance from our house. They needed someone to teach English to adults once a week. 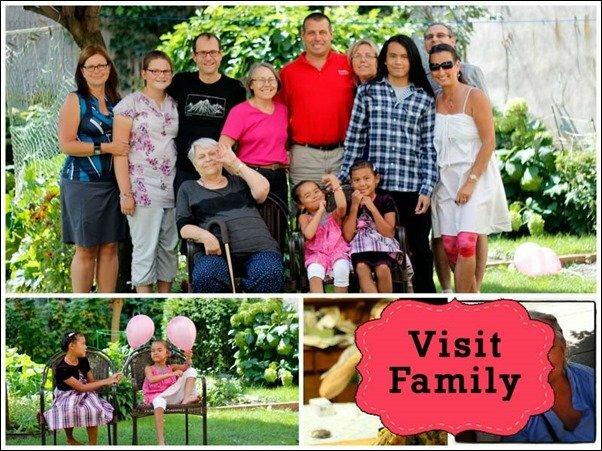 It ended up being a rewarding experience and gave me a chance to help my local community. 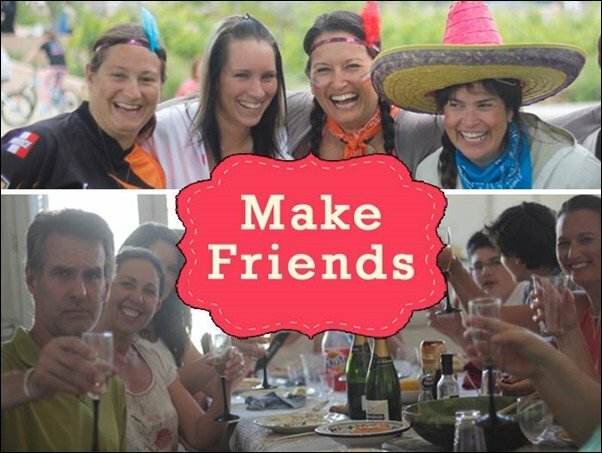 I met some wonderful people and made some lifelong friends. I love languages and even though I spoke almost fluent French when I moved to France, (my family is French Canadian), my French was not perfect. I decided to make an active effort to improve my French. I learned new expressions and made sure to go over all my daughters homework which actually taught me a lot about French culture. 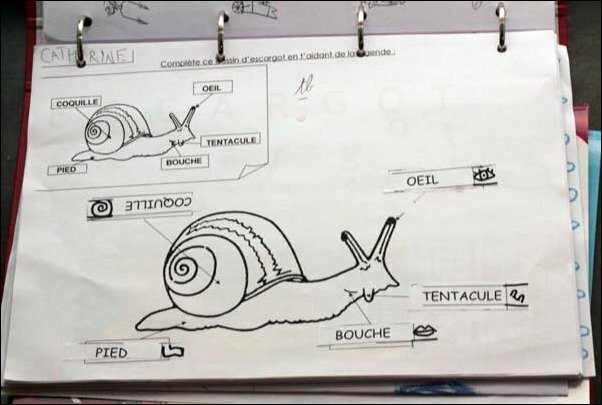 I know all there is to know about snails now. (see photo above from my daughters school work). The way I see it- learning a language is a lifelong endeavour and learning is what makes life more interesting. I am no writer. You probably figured that out by reading my blog, this blog but I do it anyways because it gives me pleasure. I know a lot of people who write a travel blog to keep friends and family back home up to date on all their adventures.. That’s how this blog started. There is something very satisfying about writing- it actually feeds my soul and keeps me quite busy. Travelling wouldn’t be complete without experiencing the unique and memorable foods found in the places I visit so what better way to learn about the local food than to learn how to cook it? I never really attempted to cook French food because I mistakenly assumed that French food was too fancy and too complicated to cook. 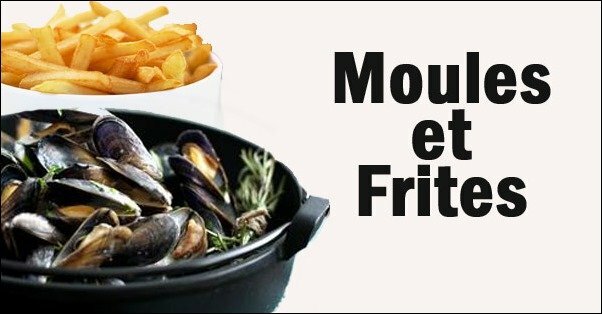 After living in France, I realized the real food that French people eat is not too complicated at all. Some of my favorite dishes to make and the ones my family love to make are below. If you hate cooking, learning to cook French dishes may not be for you but if you are up for the challenge of learning to cook French food, it may give you a sense of purpose in the kitchen beyond necessity. Our life changed drastically once we made friends in France. Not only did we have more fun doing various activities with our friends, we also learned about French culture through our friends. One of the best things about living in France is that you’re so close to the rest of Europe. We are literally only a few hours by train or drive from Italy, Spain, Monaco, Germany and thousands of cities across Europe. You would think we would be off visiting all those places on a regular basis but we don’t. One- As a family of five, it can get expensive to travel so the cost of everything we do is multiplied by five- Tickets, food, bigger accommodations etc. . It ads up so we are restricted by our budget. When we do actually have the money to take trips, we want to make sure it’s interesting. Just travelling for the sake of travelling can get repetitive. Maybe it won’t for you but for our family which travels a lot it does. There’s only so many museums and Gothic churches you can see and visit before you start getting bored with that. I know this might sound ridiculous to some but it has happened to quite a few of my fellow nomadic travelling friends and expat friends. So what we do to make travelling more interesting is make the voyage to our destination more interesting which can be anything from travelling off the beat and path or doing things differently. For example, we took a 7 day cruise around the Mediterranean see. I bought the tickets at a last minute deal for 2,000 euros. This included our cruise for our entire family, 2 cabins because there were five of us. All our food (excluding alcohol). And every night there was free entertainment. The ships name was the Costa Serena if you are interested. Another time we went to Disneyland for Halloween. I’m not a Disneyland kind of mom so this was one of those things I would have never done but since it was for Halloween, it seemed like a novel idea. We had a blast. The possibilities are endless. You just need to find unique things to do that match your style, your budget and your interests. We have kids, so this is what we do. The surest way to break out of your rut is to do something life enriching. And by the way, just living in France for the sake of living in France is not enough. Trust me. 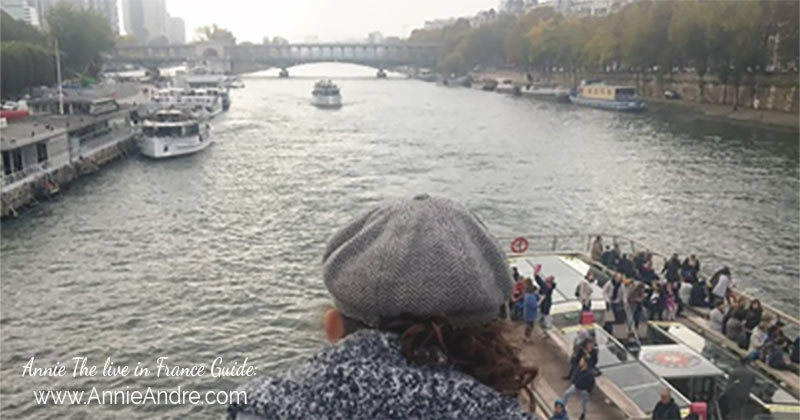 Use your time in France to do something you’ve always wanted to do but maybe didn’t have the time or inclination. For me, this blog is my life enriching project. I’ve been running it since 2012. it keeps me busy; I’m always learning and fiddling, and writing, and networking. I answer people emails and their questions about living in France. I feel like I’m doing something productive. My husband wanted to write a book and so he did. Don’t expect your life to be fulfilling and exciting all the time just because you live in France. 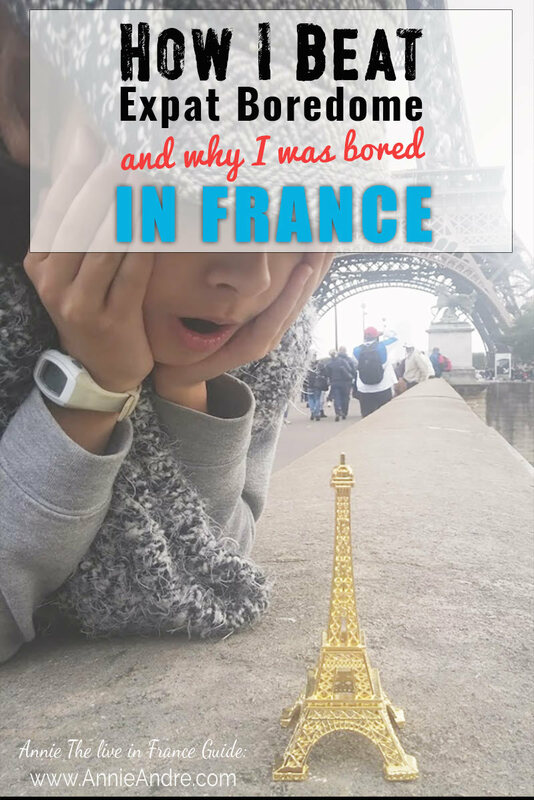 Life can get just as boring in France as it does anywhere else you live if you let it. The key is to adjust your expectations, be proactive and make a conscious effort to get out and live life to the fullest. At least that’s how it is for me. Maybe it will be the same for you.